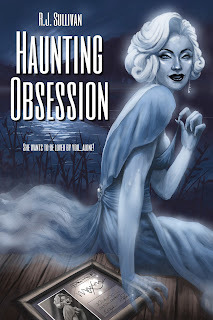 Today I have the honor and the privilege of interviewing R. J. Sullivan, author of the new horror tale Haunting Obsession. 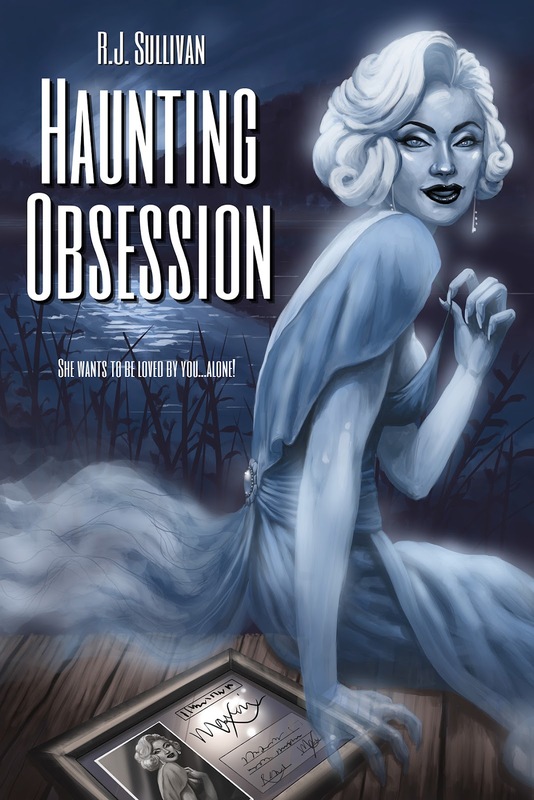 It’s the latest release from Seventh Star Press, a publisher crush of mine. I just finished the book a few days ago and enjoyed it immensely. 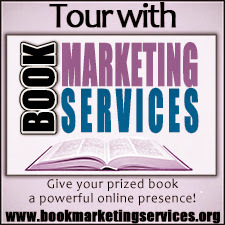 My review will be up tomorrow (which is my official date for my stop on the tour) along with a giveaway for a free ebook copy, but hopefully a little chat with the man himself will tide you over until then. So like Mr. T said, let’s cut the jibber-jabber and get down to business. 1) Howdy, R. J. Can you tell us a little about yourself? RJ: I grew up a reader, a music lover, and a movie geek, and a big fan of the creators of all these entertainments. I am known online for my enthusiastic expression of my favorite things, whether I'm gushing or critical of the latest episode of Doctor Who or squeeing like a fangirl that Cyndi Lauper's autobiography comes out in a couple of weeks. Fandom is an interesting thing--what we are "into" and how we express that is as individual as the objects and hobbies into which we choose to invest our time. One person's time well spent is a complete waste to someone else. As it happens, both of my stories that spotlight fandom happened to come out this year. I wish I could say it was part of a master plan. It was not, but it does mean that in Haunting Obsession and Backstage Pass, I say all I have to say on the topic and that in 2013 and beyond will focus on very different things. 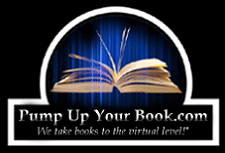 2) What's your new book about? RJ: On the surface, it's about a nerd couple. Loretta's approach is more balanced, Daryl's is more extreme. They're mostly happy because they understand each other, though Daryl's focus on a classic Hollywood icon causes some tension between them. Loretta reasons there's no real issue as the famous Maxine Marie is dead anyway. Unfortunately, Daryl's obsession drives a huge wedge in their relationship, and this happens before the ghost appears. It's a thoughtless and selfish act on Daryl's part, and it opens the door to much uglier things. On a deeper level, it's an analogy that examines that fine line between attending to your fandom and when your fandom takes over in an unhealthy way. 3) What was your inspiration for the book? RJ: I had an experience exactly like the one Daryl has. I found in a Hollywood souvenir shop a framed object signed by Marilyn Monroe, and upon closer inspection, I was appalled to see it was a check to pay her rent. It was my first exposure to the idea that a dead celebrity's personal records could be mined for signatures and sold for a huge profit. I have since learned it's not all that unusual, but the idea still strikes me as wrong. Add to that, a conversation about a decade later on Facebook in which I shared this experience on my wall and gauged opinions. Blogger Rodney Carlstrom commented, "sounds like a good idea for a story." Well, I couldn't un-read the comment, and it worked on me until I started drafting. 4) Why did you decide to make up a Marilyn Monroe look alike? Why not use the real thing? Was it legal quandaries? RJ: Let's walk through this and the answer becomes obvious. Marilyn Monroe is not only dead, but someone who died tragically and way too young after a lifelong battle with depression and addiction. Maxine Marie, in my fiction, rises from the dead and turns into a frothing succubus intent on destroying the lives of those around her. Why would I, as a fan and as an author, want to portray a real person in an unkind and unflattering way? As a fictional creation, the erratic behavior of the character Maxine services the plot and gets me from point A to point B. Poetic license can run rampant because she's just a fictional character. (Granted, a fictional character whose inspirations are transparent, but still a fictional character.) Attach the name Marilyn Monroe to the same story, it becomes something I wouldn't want to read, let alone write. 5) A very good point. So your main characters, Daryl and Loretta, are what we in the know like to call "nerds." Takes one to know one, right? Anyway, it seemed like you took special care to incorporate the nerdiness into your narrative. Was this a special cause for you, or did it just kind of happen and you ran with it? RJ: I worked it backwards--what sort of person would get that carried away with something, and, well, yes, we write what we know. Also, with shows like the Big Bang Theory and the movie Splice, it's clear that a nerd "lifestyle" and "fashion" is finally being recognized by the media. So I knew I could write directly about it and most people would follow. It's a quiet change in geeks and their status in society that doesn't get enough attention but I'm glad to see finally coming around. 7) LOL. In your story there's a government agency that deals with the paranormal. Do you think you'll incorporate this agency into other works, or was it just a one-shot deal? RJ: You will be seeing Special Investigations Unit agent Rebecca Burton in future stories. In fact, she plays a part in the Seventh Star Single Backstage Pass, and in the upcoming novel Virtual Blue. Like Haunting Obsession, Burton plays a supporting part in stories that are otherwise self-contained. But that won't always be the case as we move forward in the series, and eventually, she'll move front and center and her story will be told. 8) Do you have any other projects on the way that we should know about? RJ: Sometime next month I have a story appearing in Dark Faith: Invocations, from Apex Books. That's an exciting one, because the first volume made a lot of waves. So being in Volume II is exciting. In December, Strange, Weird and Wonderful Volume II comes out, reprinting the story that appeared in their magazine last year. Rebecca Burton followers will want to take note that it's the story of tween "Becky Burton" and her parents, and tells of an early misadventure in her life. And in 2013, Virtual Blue, the direct sequel to Haunting Blue, comes out, along with an anthology currently titled Drawn to the Blood, edited by Michael West. The story is called Robot Vampire, and if that won't get people curious to check it out, I don’t know what will. Thanks, RJ, it’s been fun. I’ll look forward to seeing more from you and Seventh Star Press. If anyone would like to learn more about R.J. Sullivan or his work, you visit him at his website, on Facebook, or on Twitter.